< Having a fantastical time at Rowtor Rocks in Derbyshire! Do you ever find yourself bored of an afternoon? Or catch yourself staring out of the window at the drab British weather and wish you were anywhere but here? Then perhaps you’ll enjoy the phenomenon that is Desk Safari! The craze was born out of bored office workers taking comical photos of colleagues that appeared to combine their heads with the bodies of tropical animals. It’s a ridiculously fun way to waste some time that is sure to bring hilarity to all those who take part. Once I heard that there was a competition over at theimum.com I knew I had to have a go, aided not by pictures of animals I found on Google but my obliging (read bribed with treats) pets. 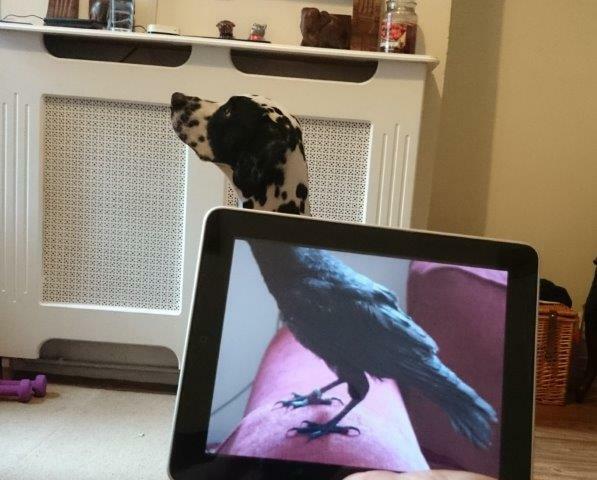 In fact we had so much fun that I have a few Desk Safari pics, I’ll start with my personal favourite that sees my pet Dalmatian combined with our resident Crow! 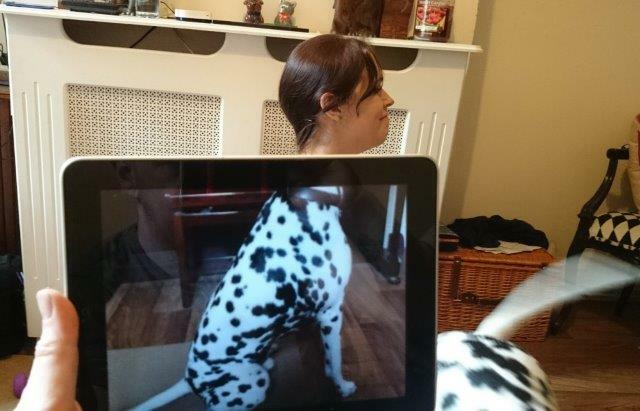 It’s no mean feat lining up a Dalmatian to take a comical photograph so I’m quite proud of this one. In fact getting the photo of a fast flying crow was rather difficult too! 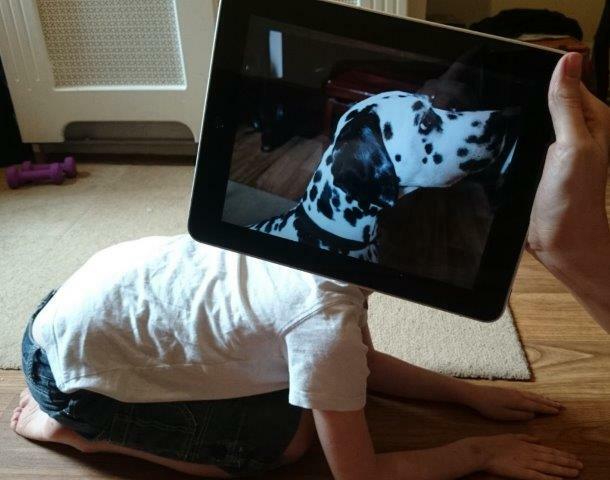 Next we flipped the traditional desk safari pictures on their head by combining my dogs head with my daughters body! Makes me giggle everytime I look at it! 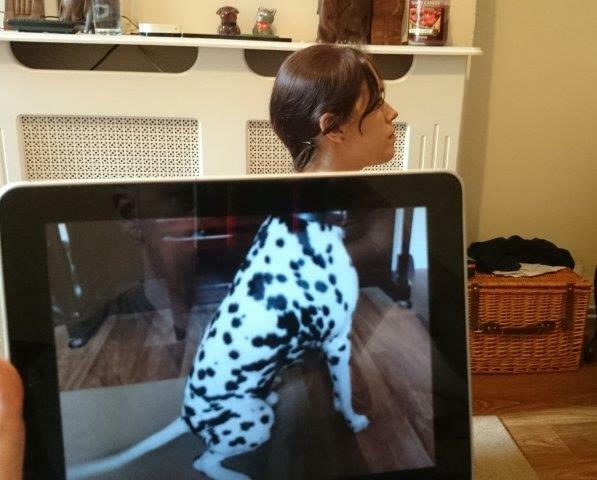 Finally I thought I better have a go and combined myself with Mr Dog. We had so much fun taking these pictures but it’s surprisingly hard to line yourself up perfectly 🙂 Especially when you have a photobombing dog roaming around who just loves to make you laugh mid take, see this blooper photo! This entry was posted in Miscellaneous and tagged comp, competition, crow, desk safari, dog. Bookmark the permalink.